Although we are known as a nation of gardeners, it is sad that many of us pay little attention to the beauty of the native plants around us. 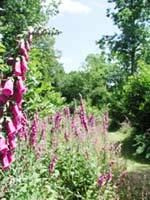 Essex has a diversity of flora in its many different habitats, some of it quite rare. There are over 10,000 acres of saltmarsh in Essex, 10% of Britain’s total of this habitat. Saltmarsh is home to plants and wildlife not found elsewhere and is particularly glorious in July when sea lavender creates a dense mat of colour. The importance of our verges in Essex is often underestimated as they act as corridors interlinking fragmented or isolated habitats. Ancient verges, some dating back hundreds of years, have a very high ecological value and if managed properly support threatened or declining species such as sulphur clover, crested cow-wheat, lesser calamint and cowslips. It is estimated that 95% of Essex’s flower-rich hay meadows have been lost since the turn of last century, but in ancient hay meadows it is still likely that you would find a mix of over 60 species of plants. Often rare plants are discovered and nurtured such as the delicate green-winged orchids. The woodlands and forests of Essex have been shaped by centuries of sustainable management. They are as important a part of our heritage as any historic building. 5.7% of Essex remains covered by woodland. Many rare and beautiful plants only grow in ancient woodland, the most special of which is the cowslip. Each season brings its own unique colours, noises and charms, but for many the most stunning time for a walk in the woods is spring as the sun streams through the bright green growth of trees, sparkling and glinting through to the forest floor onto riots of colour formed of native spring flowers. 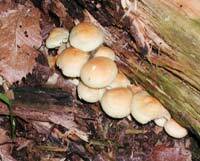 A surprising range of fungi can also be found in Essex, most commonly in autumn in our woodlands and forests. Fungi can also be found in gardens, rough grassland and roadside verges, but as mushroom hunting is not part of our culture they are normally seen as items of fascination and fear rather than possible ingredients for a meal! Of course, many mushrooms are deadly poisonous so it is essential you know your edible giant puff-ball from the poisonous earth ball. An excellent idea is to attend a fungi course (Essex Wildlife Trust run several – keep an eye on our wildlife / countryside events in Essex section) and then always carry a good handbook with you whenever you go fungi foraging in beautiful Essex.